German This deal was verified and it is working as described. 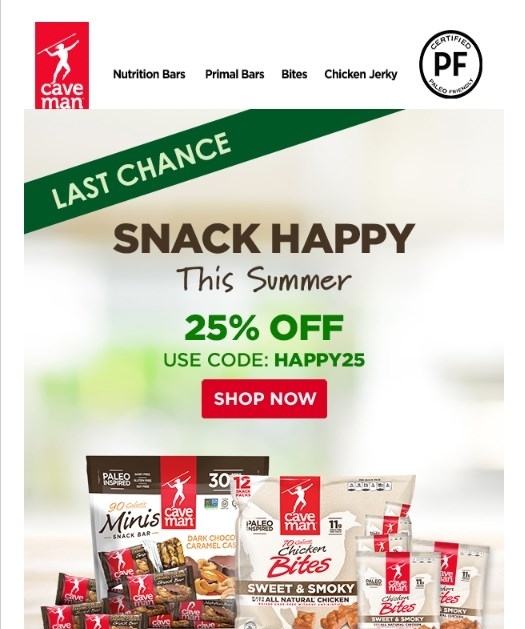 Select the items and enter the promo code <HAPPY25> at checkout to get 25% off Minis and Bites at Caveman Foods. Daniel Esparragoza To get the discount simply enter the promo code HAPPY25 at the checkout. There may be some exclusions that will apply to this deal.